The latest on efforts to improve price transparency of prescription drugs. 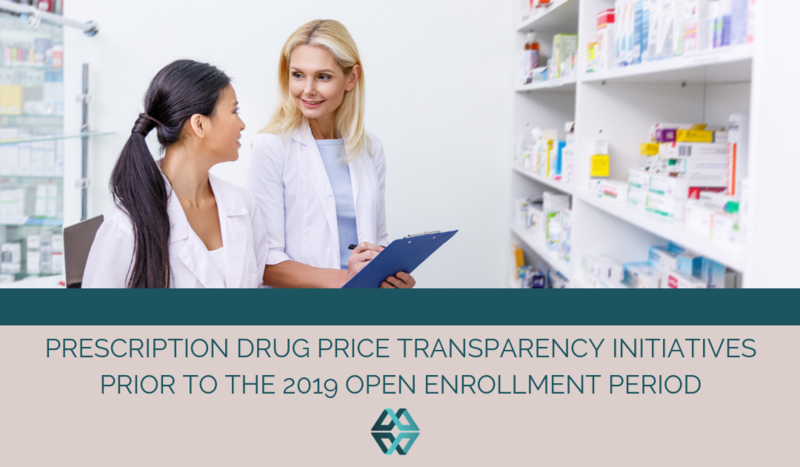 Ahead of the 2019 Open Enrollment period, consumers have many questions regarding the affordability of their prescription drugs. “How much will this drug cost me? Are there rebates or is co-pay assistance available? Does this drug cost a lot more this year than it did last?” And although it might cross a consumer’s mind as they search health plans on the Exchange, the truth of the matter is that for many, medicine prices won’t be revealed until prescriptions are picked up at the pharmacy. If a patient cannot afford their medicine, everyone loses. As the major players in this game, what can pharmaceutical companies do to arm their consumers with the information they need to be able to take medications without worrying how to afford them? While fingers are being pointed at House Republicans, the upset seems only over whether or not additional funding is needed by the FDA for the regulatory work involved in drug price transparency disclosures. Removing funding from the amendment certainly doesn’t bode well for drug price transparency advocates, who blame big Pharma for influencing the demise of the measure. However, the FDA can still require price disclosures on medication adverts. Why is it that consumers are quick to blame pharmaceutical companies for soaring medication costs, rather than the doctors and insurance companies they directly interact with? It is private health insurers and pharmacy benefit managers afterall who’ve worked up the recently-contested “gag clauses”, which are health insurance contracts that prevent pharmacists from telling a consumer that paying out of pocket may be cheaper than insurance for some drugs. With bipartisan support anticipated, legislation is currently moving through House and Senate to end this practice, with one ban on “gag clauses” passed earlier this month. It’s clear that pharmaceutical companies aren’t the only players in the game to blame. Health insurers and their middlemen are also in the spotlight by lawmakers, even if consumers are slow to learn the ins and outs of how medications are priced. But… a few bad players have shined a light on pharmaceutical companies that seem seriously tone deaf towards consumers. Case in point: Nostrum Laboratories, makers of Nitrofurantoin, who willingly joined the ranks of Martin Shkreli when they quadrupled the price of the “essential medicine” (according to the WHO) last month. “I think it is a moral requirement to make money when you can . . . to sell the product for the highest price,” said Nostrum Laboratories chief executive Nirmal Mulye. Mr. Mulye’s insensitive statements were slammed by Scott Gottlieb, FDA commissioner, who tweeted in response “There’s no moral imperative to price gouge and take advantage of patients. FDA will continue to promote competition so speculators and those with no regard to public health consequences can’t take advantage of patients who need medicine.” But Financial Times reports that although the 404% price increase is shocking, it’s not really uncommon for medicine costs to soar. Beyond a few bad apples, there are plenty of ways that pharmaceutical companies can be proactive with consumers. Pharmaceutical companies are at a disadvantage because they have fewer interactions with consumers than other parties in the healthcare continuum. Clear Health Analytics supports prescription drug price transparency through customizations to our advanced formulary tool, Daizy. In addition to pharma companies’ existing relationships with disease-specific advocacy groups, pharma companies should consider proactively arming providers and pharmacists with information on consumer drug costs. Surprising consumers at the end of the process makes pharma companies an easy target for criticism. It has never been easier for pharmaceutical companies to connect directly with consumers, whether via advertising or social media personas. Pharma companies should also consider medication adherence as a universal goal. Drug price transparency is a boon to consumers and yet another key to medication adherence. When consumers are able to financially plan for their Rx costs, they are more likely to stick with the medications that help their health conditions. That’s where Clear Health Analytics’ advanced formulary tool comes in. Daizy is a customizable tool that allows consumers to accurately predict out of pocket costs for prescription medications.